Writing in Wednesday's end-of-the-year article for the New York Times, Tillerson accused Russia of hostile actions against its neighbors and his nation’s Western allies. WASHINGTON (Sputnik) — The United States has no illusions about Russia but will work together with it to promote mutual interests in Syria, US State Secretary has admitted in an op-ed for a local newspaper. "While we are on guard against Russian aggression, we recognize the need to work with Russia where mutual interests intersect. Nowhere is that more evident than in Syria," he wrote. He said Washington expected Russia to deliver on its commitments to create a new future for Syria, after Russian President Vladimir Putin backed the UN-led process in Geneva, Switzerland. "We are confident that the fulfillment of these talks will produce a Syria that is free of Bashar al-Assad and his family," he said, referring to Syria’s embattled president. Russia has been actively involved in the Syrian peace process, volunteering to act as a ceasefire guarantor and proposing to host a Syrian dialogue congress in Sochi next month. 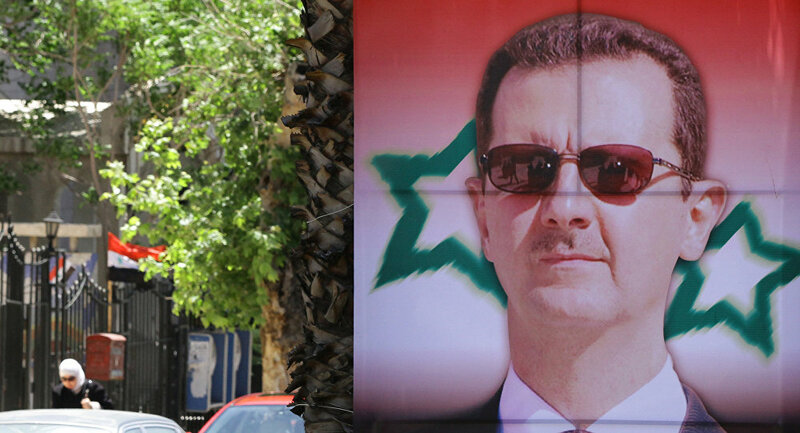 Moscow has demanded that President Assad’s role in Syria's future be determined by its people. ‘Putin Won in Syria’: Will Trump Withdraw US Support for Anti-Assad Rebels?